PowerPoint 2010 makes creation of content with rich visual experience very easy. Microsoft describes the product as being able to create and share dynamic presentations. Include videos from online sites like YouTube. Display videos in unusual boundaries in graphics within the presentations. This is one PowerPoint feature that everyone has been waiting for. Co-authoring features allow multiple authors to collaborate and create presentations in harmony. PowerPoint 2010 even offers the ability to communicate with other team members from within PowerPoint. You can choose either SharePoint or Windows Live based co-authoring features based on the size of the teams working on PowerPoint. Microsoft offers a wide range of co-authoring solutions for various scenarios. PowerPoint 2010 comes with companions for online and mobile presentation. Microsoft PowerPoint Web App features presentation sharing through web browsers. For a consultant this means that an internet or network connection is sufficient for making the presentation anytime, anywhere. 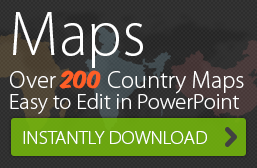 If you work extensively with presentations, it is a good idea to recreate them to adopt the PowerPoint 2010 effects. 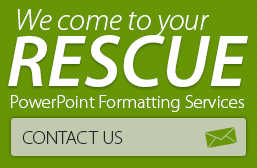 If time is a concern, consider outsourcing to reliable PPT service providers for the conversion.